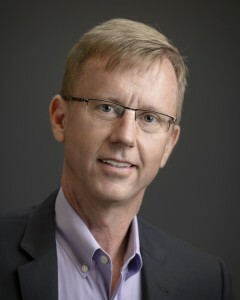 Jonathan Doh is Rammrath Chair in International Business, Faculty Director of the Center for Global Leadership, and Professor of Management at the Villanova School of Business. He teaches and does research at the intersection of international business, strategic management, and corporate responsibility. He has been a visiting professor at universities in Europe and Asia, and is an occasional executive faculty member at the Wharton School. Previously, he was on the faculty of American and Georgetown, a trade official with the U.S. Commerce Department, and a consultant for Deloitte. Jonathan has authored 70+ refereed articles, 35 chapters, a dozen teaching cases, and eight books. Recent articles appear in AMR, AMP, BEQ, JIBS, JOM, JMS, JWB, MISQ, OS, and SMJ. His books include Globalization and NGOs (with Hildy Teegen, Praeger, 2003), Handbook on Responsible Leadership and Governance in Global Business (with Steve Stumpf, Elgar, 2005), Multinationals and Development (with Alan Rugman, Yale, 2007), NGOs and Corporations: Conflict and Collaboration (with Michael Yaziji, Cambridge, 2009), Aligning for Advantage: Competitive Strategies for the Political and Social Arenas (with Thomas Lawton and Tazeeb Rajwani, Oxford, 2014), and International Management: Culture, Strategy and Behavior (with Fred Luthans, McGraw-Hill/Irwin, 9th edition). He has presented 80+ papers at international conferences, and served AOM, AIB, and SMS in numerous capacities, including Chair of AOM’s Organizations and the Natural Environment Division (2015). He has served as Associate Editor and Special Issue Editor for several journals, and is currently Editor- in-Chief of Journal of World Business. He was ranked among the top 12 international business scholars for the period 2001-2009 (Lahiri & Kumar, 2012) and his cases and simulations are used at leading business schools. In 2015, he was elected a Fellow of the Academy of International Business. He holds a Ph.D. in strategic and international management from George Washington University.